Grundy, Va wedding ... Church and Reception Beautifulness ... great couple! Great Families!! 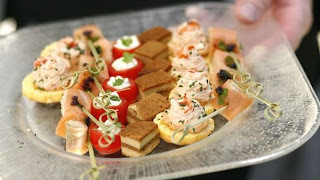 Passing Hors d' oeuvres ... Galore! The beginning of making the flowers, the Church Setup, the Reception florals, the Cake, the Bride and Groom!!! I want to be the first to invite you to my Blog!